We are always been a big fan of Burger & Hotdog. It is tasty, fulfilling, and it can be found almost everywhere. 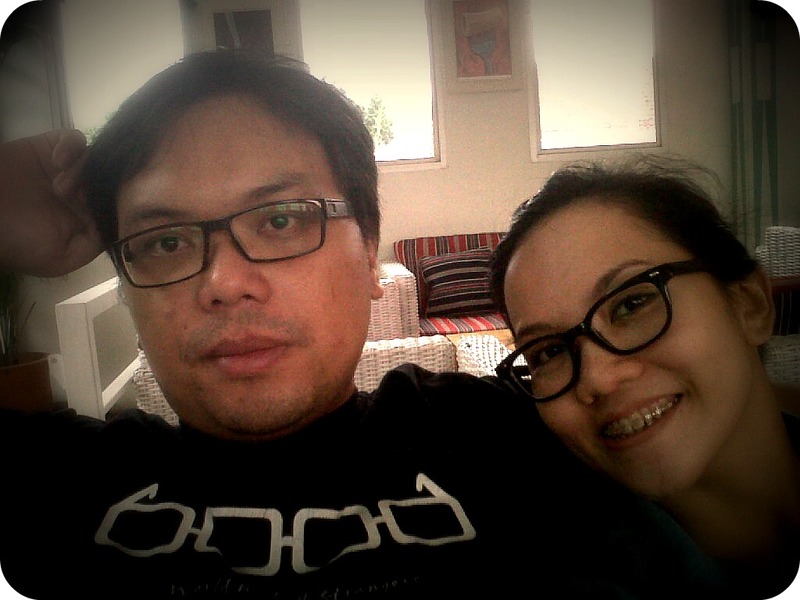 We have our own favorite joint, from the one in Jakarta, up to the one in Bangkok. 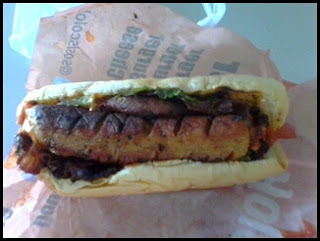 The downside of our liking to Burger/ Hotdog is that it is considered as a high cholesterol (unhealthy) food, so when we tried to eat them we would do our best to go for the homemade one, as we assumed it has the lowest cholesterol level (we could be wrong). 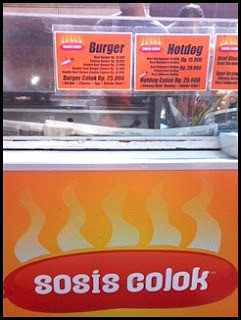 In Bandung, it is quite difficult to find good burger joint, outside of the fast food franchise, so when we found this outlet during our morning walk routine in Buah Batu Car Free Day, we are excited. The chef cooking in this joint looked very passionate with their cooking, and they really enjoy cooking for their customer. They also took the hygiene level of their cooking area very seriously. A very plus point for us. They served mainly sausage in a stick, with Burger & Hotdog as their feature menu. We choose to buy their signature Hotdog Colok which consisted of sausage in a bun with prime ribs. Looks delicious. And it does. The prime ribs are cooked until crisp. Leaving you with a bacon-like impression. The sausage was infused with cheese and they have a barbecue sauce that keeps you wanting for more. Really looking forward for our next morning walk routine in Buah Batu Car Free Day next week.